The Temple and Family History Leadership Instruction session, available online, is for anyone interested in helping others enjoy the blessings of temple and family history work. You might be helping a family you minister to or a particular member of your quorum or class, or you might have a family history calling or responsibility. If you are a stake president or bishop or serve in a Relief Society or elders quorum presidency or as a ward temple and family history leader or consultant, the Temple and Family Leadership Instruction will give you guidance and direction that will help you with your calling. Watch the session online, and you are bound to come away with new ideas for serving individuals and families more effectively. Attending the session is simple. It doesn’t matter where you live. Just go to lds.org/family-history on the day the session is scheduled, and stream it live. Or visit the site on a later date to watch a recording. While you’re there, check out the videos of previous Leadership Instruction sessions. If you have questions about your responsibilities in temple and family history, this is a great place to find answers! Family Discovery Day is another great event that you can attend for free or watch portions online. Find out more about this fun and inspirational event here. The role of temple and family history in the plan of salvation. How family history can be used in ministering to family and neighbors. Ways for understanding and structuring temple and family history service at the ward level. The 2019 session will be broadcast in English, Spanish, Portuguese, and French. Transcripts in other languages will be made available in the coming months, including German, Italian, Chinese, Japanese, Korean, and Russian. If you’ve been looking for help with your temple and family history responsibilities, then don’t miss the 2019 Temple and Family History Leadership Instruction! Join the Family Discovery Day live stream on LDS.org on Saturday, March 2, at 9:30 a.m. mountain standard time. 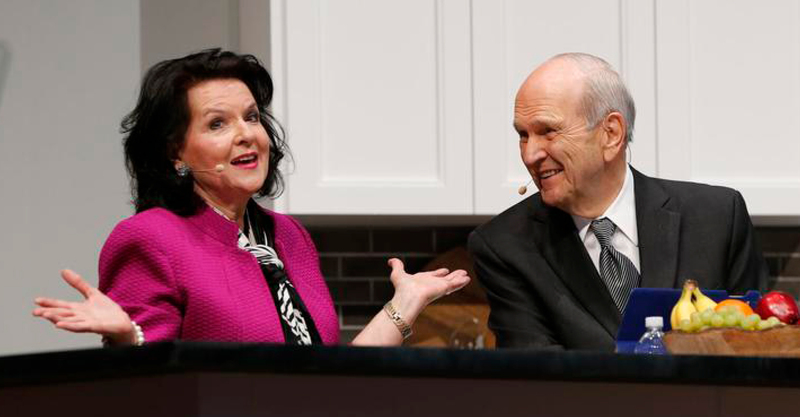 In the 2018 session, leaders of the Church encouraged ward temple and family history consultants to follow the Savior’s example of ministering to people one-on-one, as individuals and families. They talked about the importance of creating personalized family history experiences and urged audience members to focus especially on youth and new members. Excerpts from this and other Temple and Family History Leadership Instruction sessions are always available for you to watch–along with many other great tools to help you with your calling. You can find family history resources on FamilySearch.org. RootsTech, a family history conference hosted by FamilySearch, is also a great resource for learning more about family history. Learn more about RootsTech.